How to set up the Ordering Feature? The Product Order page type + Order page type is the best way for you to start taking orders for the products you’re selling using the mobile app developed on Blanggo. In addition to the Order page type, we’ve added a native page for adding items/products – Product Order. With these 2 page types added in your app you’ll be able to add in your new or existent app an Ordering feature. 1. For adding the new native Product Order page to your app access its Dashboard. Go to Edit Pages menu then click the “+”(Add New Page) button. From the list of the page types available select the Product Order one and click the “NEXT” button. In the next step you’ll need to add a name for this page and click the “Create” button. Once the page is added, you are able to proceed with editing it. **NOTE: Please make sure to have only 1 (ONE) Order page per app. How to setup the Order page type you can find in steps 6 → 7 → 8 → 9 of this tutorial. 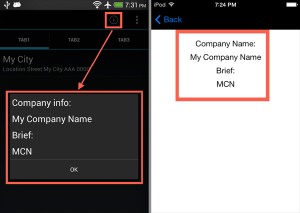 In this step you’ll need to add your Company/Restaurant/Store location or add multiple locations. 3.1 Click on “+” button for adding a new Location or “-“ button for deleting it. **NOTE: For skipping this page in your app, please make sure to have only 1 location. 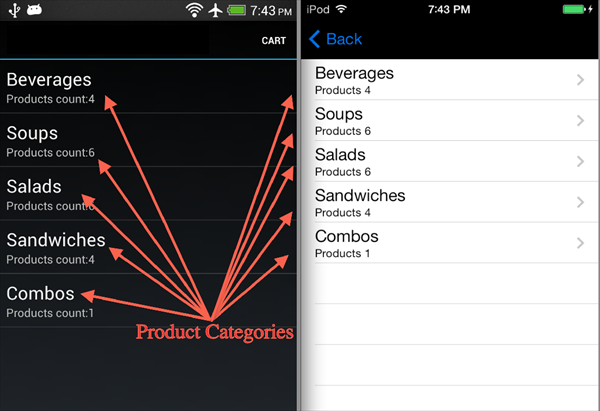 Start to add the menu items or the products you’re selling within your app. 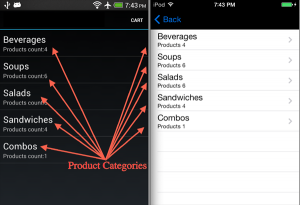 4.1 Click on “+” button for adding a new Product Category or “-“ button for deleting it. 5.1 Click on “+” button for adding a new Product or “-“ button for deleting it. 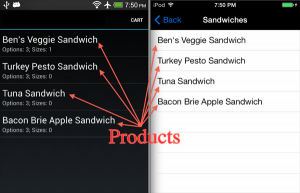 5.3.1 Name – Add here the Item (Product) name. 5.3.2 URL info – Here you can add an info page for this product. You can choose an in app page (click on the “…” button) or add an URL. 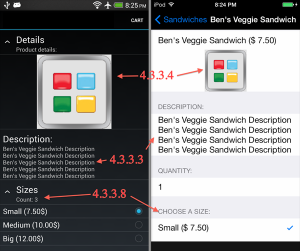 5.3.3 Description – Add here the Item (Product) description. 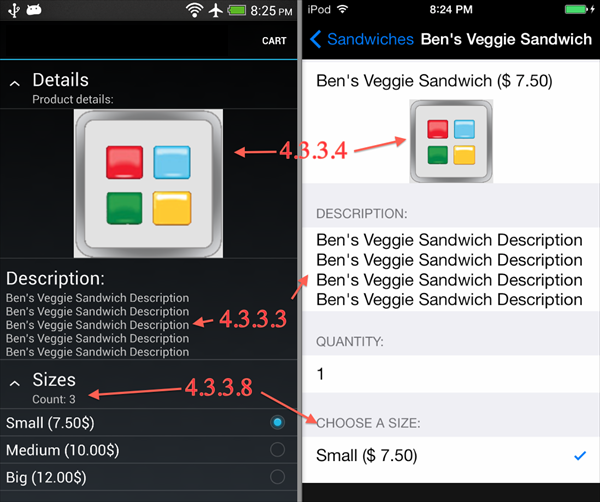 5.3.4 Image – Choose an Item (Product) image from the app Resource Manager. 5.3.5 Price – Add the Item (Product) price. 5.3.6 Click on “+” button for adding a new Product Size or “-“ button for deleting it. 5.3.7 Change the Product Size order. 5.3.10 Click on “+” button for adding a new Product Option or “-“ button for deleting it. 5.3.11 Change the Product Option order. 5.3.12 Option Group – Add a Product Option Group Name. 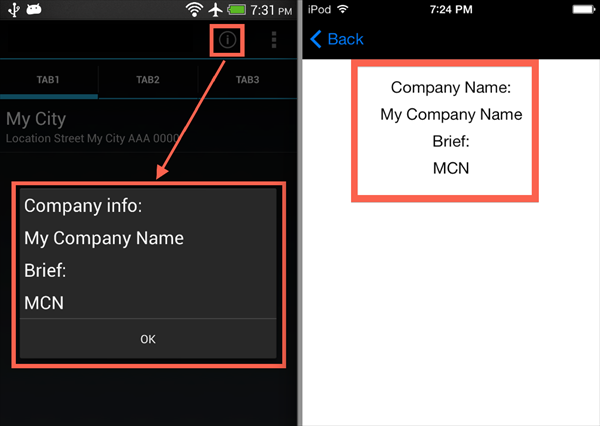 Each Group name will be a separate drop down menu in the app for this product. 5.3.13 Option Name – Add the Option Name. 5.3.15 Quantity – Add the MAX and MIN allowed options. Will be applied per order and not per option type. **NOTE: You’re able to change the Label name on the device (e.g. Size change to Quantity) using the Localizable Strings (Application Settings/Localizations). From the Currency Drop-down you’re able to change the Order page type Currency. This also will change the currency in the Product Order page. **NOTE: If you’ll change the Currency from US Dollars (USD) you’ll not be able to use the Credit Card (Authorize.Net) as payment system. 8.2.3 Transaction description – This name will be sent to Authorize.net and you’ll be able to see from what app you’ve received this payment (on Authorize.net website). You may add here the app name. 8.4 Payment method PayPal – Your customer will be able to pay for the order directly from the app via PayPal. 8.4.1 PayPal Credentials – You’ll be able to find these credentials on your Merchant PayPal account. 8.4.2 Sandbox Mode – How to create a sandbox account.